A greenhouse, also known as a glasshouse, is a structure constructed basically from transparent material such as glass, clear plastic or sheets for its roof and walls. Inside a warehouse, temperature, humidity, and other climatic conditions can be controlled to a level that is suitable for growing certain plants. 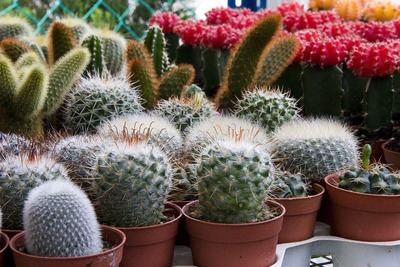 Greenhouses trap heat from the sun’s rays, thus raising the internal temperatures that are suitable for certain plants. This results in high-quality food staffs and plants in general. Greenhouses can also be customized to fit more plants in a limited area by arranging plants in rows on top of each other. Greenhouses vary in size and design. A DIY (Do It Yourself) greenhouse is one that is relatively small and cheap, and any individual can easily acquire. This is because such structures don’t require expensive materials or a large workforce to set-up. Designs vary from domes to rectangular structures fitted with curved roofs. 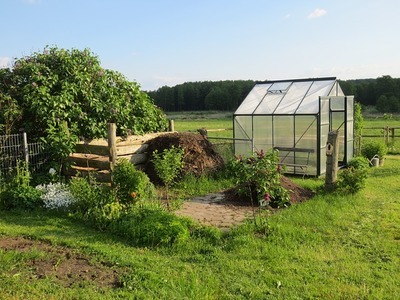 To make your own greenhouse, there are a set of steps that should be followed. These steps are for simple DIY greenhouses that require an average setting-up capital. 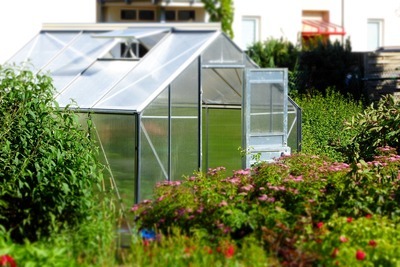 In choosing a suitable location for a greenhouse, the owner should consider an open area that has access to plenty of sunlight, especially in the morning hours. If such a location is not available, the gardener might consider any spare or unused room. However, in this case, artificial lighting is needed so as to mimic the sun’s rays that are crucial to plants. The area selected should also have easy access to electricity. Electricity is needed to run support equipment in the greenhouse. Once the area is selected, the owner can go ahead and choose a greenhouse design that suits him or her best. There are many easy to construct DIY greenhouse designs available, and the end choice will depend on the available space, required climatic conditions, owner’s preference and financial ability. It’s important that the type of plant to be planted in the greenhouse be carefully selected. This is because various plants have different requirements in terms of space, temperature, attention and required capital. Depending on the type of plant to be planted, the gardener should choice a temperature control system that will ensure that the temperatures required are maintained. Such systems might include fans and heaters, depending on the heat-trapping capability of the building material and season. Although manual watering is a viable option, for higher efficiency, pumps need to be set up fort a reliable and consistent source of water for the plants. This is because rainwater won’t be able to reach the plants. It’s recommended that any new gardener in the greenhouse sector use a DAB pump for reliable efficiency. DAB is a water technology company that has been operational since 1975 and has been offering quality and reliable motor-driven water pumps. After setting up the structure, it’s important to make sure that the area is well drained to prevent water from flooding. The area should be relatively elevated for water to flow easily to the disposal destination. Accumulation of water were the plants are might harm them. The stagnant water might also attract insects and pests that might infect and harm the plants. DIY greenhouses are easy to construct and do not require a large investment. Following these easy steps, any individual can set-up their greenhouse with little strain. With the right care and practices, the gain from a greenhouse is far greater than the cost incurred in setting it up.